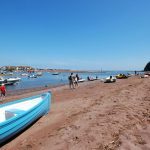 With some of the best sea views in the Southwest, Coast View in Shaldon South Devon, could be the ideal location for your holiday home. Located in a unique setting, with great facilities, Coast View is a perfect choice for families and couples of all ages. You can now visit their new ‘Ocean Drive’ development of 11 stunning, exclusive holiday homes and gain an understanding of their vision for the future. The new Park owners have a desire to create luxury accommodation, café culture and leisure facilities at the highest level. Phased planned improvements will be undertaken over the next few years. There is a high demand for quality holiday homes in this sought after area and Coastview has every intention of meeting that demand. With a full 12-month Owner Season you are free to enjoy your holiday home at any time of the year and whatever the season. 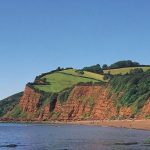 Warm sunny days on the beach in summer, right through to blustery walks along the South West Coast Path in winter; you can experience all that South Devon has to offer… and at a time that suits you and your family. This is an opportunity to purchase a luxury home in Devon’s premier address with the ability to move in tomorrow! 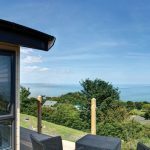 Holiday homes are all provided fully furnished and dressed with fabulous decking. The decking balustrades are glass as the views from Ocean Drive are simply stunning and best enjoyed without interruption. Prices are set at an introductory level of £90,000.00 – £250,000.00. 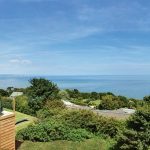 Currently property in Shaldon with these views rarely comes onto the market for less than a million pounds! 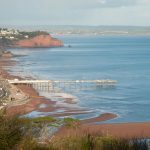 These are holiday homes with a penthouse view and affordable price tag for those who buy into the vision and desire to own 5 star luxury accommodation in Shaldon.